Please follow Domestic Superhero by email (subscribe on the right side), on Facebook, Twitter,Instagram, or Pinterest (or on all 4!). I will follow back as well if you leave me a note! Please place my ‘Sharing With’ button (from the tab on the right sidebar under ‘buttons’) somewhere on your blog- on a Link party page, the actual post, a sidebar-wherever! If you want me to add your button to my page, leave a note in the comments section. 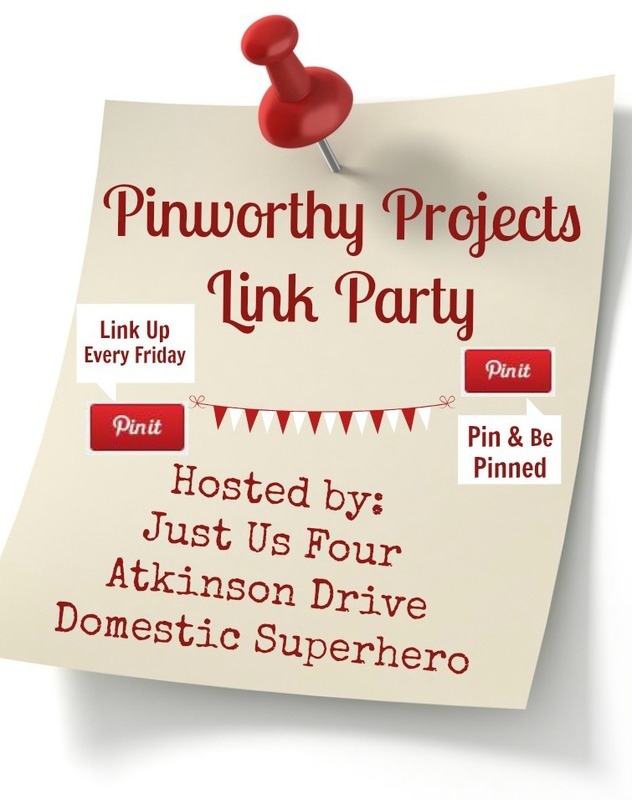 Link any project…DIY, recipes, crafts, tips, tricks….the more the merrier! Visit a few other links to check out what others are posting! Everyone loves comments so don’t be shy when you visit! ​This is a great way to connect with new bloggers and make some new friends! Show some love by commenting, pinning, or sharing on social media. Thanks for the great link party! Have a great weekend!